“A thoroughly worthwhile investment...the articles by Rateliff, Hines, Flieger and Bador are outstanding, thoughtful and compelling”—Gramarye: The Journal of the Sussex Centre for Folklore, Fairy Tales & Fantasy. At the 2013 "Celebrating The Hobbit" conference at Valparaiso University--marking the 75th anniversary of the book's publication and the first installment of Peter Jackson's Hobbit movies--two plenary papers were presented: "Anchoring the Myth: The Impact of The Hobbit on Tolkien's Legendarium" by John D. Rateliff provided numerous examples of The Hobbit's influence on Tolkien's legendarium; and "Tolkien's French Connections" by Verlyn Flieger discussed French influences on the development of Bilbo Baggins and his adventures. In discussions with the plenary speakers and other presenters, it became apparent that a book focusing on how The Hobbit influenced the subsequent development of Tolkien's legendarium was sorely needed. This collection of 15 previously unpublished essays fills that need. 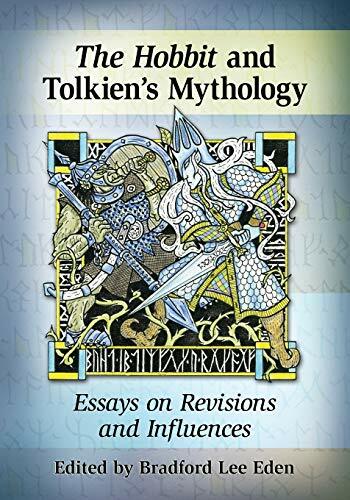 With Rateliff's and Flieger's papers included, the book presents two chapters on the Evolution of the Dwarven Race, two chapters on Durin's Day examining the Dwarven lunar calendar, and 11 chapters on themes exploring various topics on influences and revisions between The Hobbit and Tolkien's legendarium.